52 Quilters: Week 23 (Mindy Reeves): Wednesday! 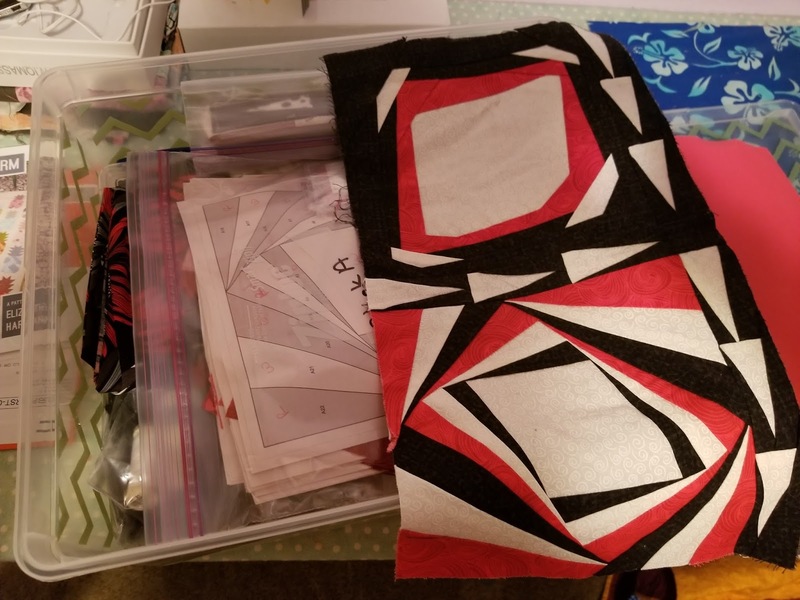 I'm addition to making quilts, I also love to design them! I use EQ7 and have actually made a few of them! This was my first design in EQ7 and I've named it "Crazy in the Red". It's still a work in progress as you can see in the second picture! Lol A few years ago, I packaged up a few kits of this made into a table runner and sold them at a retreat. 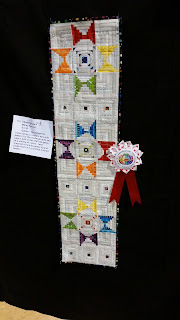 At our last quilt show, my guild (Emerald Valley Quilters) had a challenge to make a wall hanging that was 9 inches wide by 36 inches long and demonstrate our theme "Celebrating Color". This was my design and submission and it won second place! It is all paper pieced 3x3 squares. I loved making this and may end up doing another! 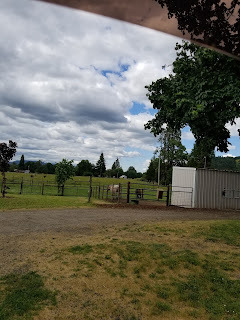 Wednesdays mean horse riding lessons for my girls, which means a quiet hour and half in the car for mom! It's the perfect time to work on binding or, like today, tearing out registration points again. :) I'm thinking it looks like we might get some stormy weather tonight!